It’s no surprise given the title of ‘Nathan Burgoine’s new collection that the twelve stories herein are built on echoes. Colors, sounds, emotions, and characters reverberate both within each story and between them. Supporting characters from one story take center stage in another and get referred to in passing in a third. Readers familiar with Burgoine’s other works will see echoes of those in here as well. The theme is present even in the collection’s structure: half of the stories presented are reprints – echoes of the anthologies they originally appeared in – given new light by the way they’re now presented in conjunction with the six stories that are brand-new. Many of the stories, but not all, have a romantic element, something Burgoine is well-known for. Like his other work, the romance is sometimes meet-cute, sometimes awkward, and occasionally steamy. Sometimes it’s unrequited or misunderstood. These encounters made me smile and feel for a moment like all could be right with the world. But Burgoine doesn’t shy away from the truth that even in our current “it’s much better” climate, there’s a danger to being gay in public. A memorial mural is defaced at the start of one story; at least one main character has been the victim of a violent gay-bashing; another is subject to the disgust of, and eventually disowning by, his parents. Realistically, not all of the characters’ struggles come from outside the community: the specters of heart disease, AIDS, Alzheimer’s, and death from natural causes rear their heads as well. The characters always find a way to work through or rise above the negative, but not without effort and tears. Even in the stories’ darker moments, there’s always a glimmer of hope, a way to move on. And every story includes at least a moment, if not more, of genuine comedy to break the tension. Romance, drama, comedy: Burgoine’s stories echo real life in all the right ways. The Village, Burgoine’s fictional gay business/residential district, is as much a character as the men and women who populate or visit it. Businesses like Bittersweets (the coffee shop) and NiceTeas (the tea and sandwich shop) are referenced repeatedly, and just enough description is given that an enterprising reader with certain skills could probably create a map of the area after a careful reread or two. The Village is a place of subtle magic, magic some characters are aware of and others don’t seem to notice. It seems like one of the prerequisites to owning a business in the Village is not only to be LGBTQ+, but also to have a special ability or magic that enables you to look out for or provide support/solace to, your neighbors, co-workers, and customers. And unlike much urban fantasy, the magic here is wielded not to save the world but rather to change it for the better, one person (or ghost or building) at a time. When the story hangs on magic being used to save a person’s life or avert some other bad outcome, the stakes are always highly personal. 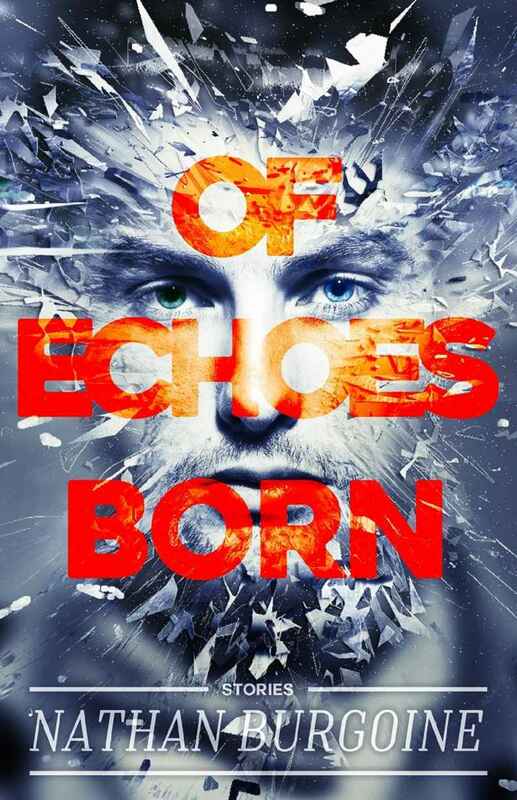 A short story collection that borders on being a mosaic novel, Of Echoes Born is a great entry point into ‘Nathan Burgoine’s work: full of heart and raw emotion, bringing the “it’s a small world” interconnectedness of real life into a vibrant fictional setting I hope we see more of in the future. Huge thank-you to Anthony R. Cardno and Out in Print: Queer Book Reviews.